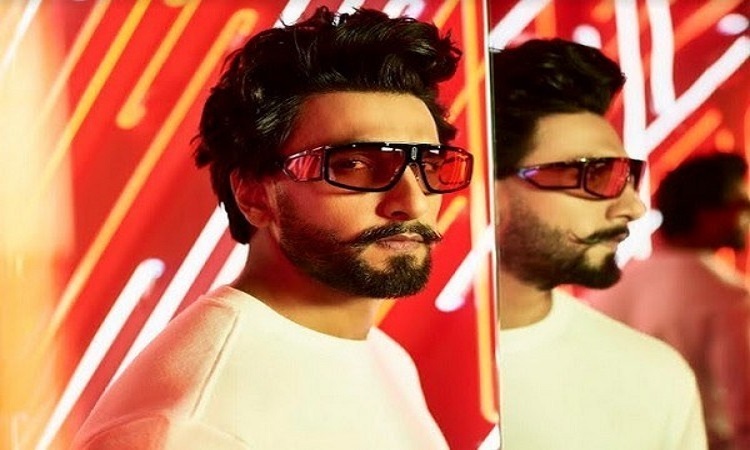 After wooing the audience with his power-packed performances in movies like "Simmba" and "Gully Boy", actor Ranveer Singh on Monday treated his fans with his own quirky and fun GIFs. The "Padmaavat" star unveiled several mood GIF's on social media created from Giphy.com. In one of them, Ranveer can be seen dancing, while in other, saying hi. On seeing the 33-year-old actor's personalized GIFs, the film fraternity members flooded his feed with hilarious comments. Actor Arjun Kapoor said: "Arre Dev". Director Ali Abbas Zafar said: "Issi ki kami thi...ab theek hai (Only this was left)" while casting director Shanoo Sharma wrote: "Dhat, pagli". Not only his friends from showbiz, but it seems Ranveer's fans are also enjoying his GIFs. In the GIF, where Ranveer is hiding his face with happiness, one user commented: "Ranveer's reaction when he sees Deepika every morning." Another user wrote: "Entertainer No. one".